You can use the Analysis Ledger Report Builder to create a report that displays financial measures for any of the specified data fields relating to dates, procedures, patients, providers, locations, and the organization. 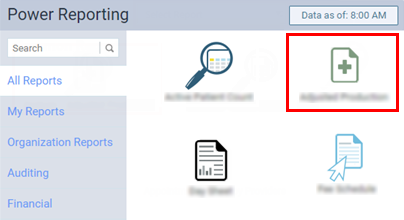 On the Power Reporting page, click (or tap) the Analysis Ledger Report Builder icon. Report based on procedure code?